Welcome to Topwise Games; hopefully your future source of uncontrollable laughter through card and board games. Our first game, Monkeys Need Love Too, was successfully funded up on Kickstarter back in 2014. The game is in stock and available for purchase through our online store. You can also find it at your local retail gaming store as well. If it’s not there, simply ask them about possibly ordering some copies from their distributor or put them in contact with us and we’ll make it happen! 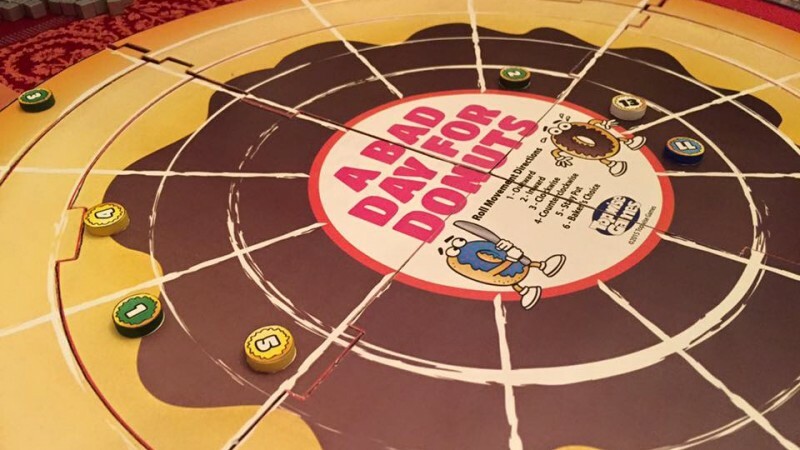 Our second game, A Bad Day for Donuts, will be relaunching on Kickstarter at a later date. We were unsuccessful in funding the first go round, but we’ll come back even stronger next time. The biggest issue seemed to be making everyone aware of the game so that will be our main focus. If you live in the San Antonio/Austin area and would like for Topwise Games to bring our games out and play, don’t hesitate to contact us! For right now, A Bad Day for Donuts is going to take a back seat to our third game coming out…Conflict of Pants! Unlike Donuts, C.O.P. will be entirely made up of just cards, which we are hoping will lead to a small price point, small Kickstarter funding goal, and garner better name recognition for the Topwise Games brand, giving the Donuts relaunch a better chance at success the second go round. Conflict of Pants has finished up it’s playtesting phase and is already being labeled as the best of the three games we’ve done so far. Artwork for the game has begun and I can’t wait to share the results with you! Once the art gets done, we’ll send the game out to reviewer so we can start preparing for the Kickstarter launch (date to be determined). Keep watching here for more info!